Israeli paramedics treat six travelers injured on Austrian Airlines flight. Four passengers and two flight attendants suffered light injuries Monday afternoon during their flight to Israel. 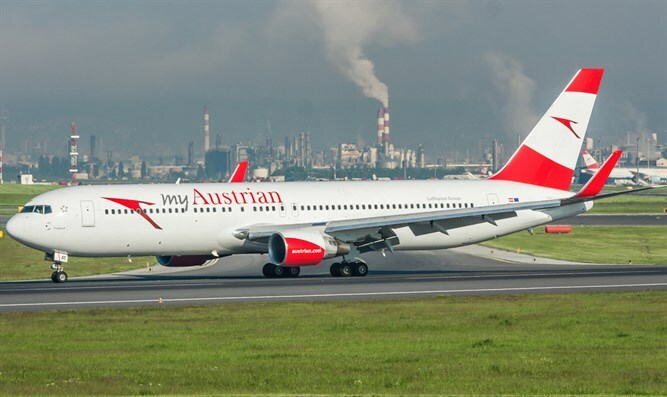 The flight was operated by Austrian Airlines, and departed Austria for Tel Aviv earlier on Monday. Magen David Adom (MDA) ambulances and Israel Airports Authority staff were waiting for the passengers when they landed. MDA paramedics treated those injured at the airport and pronounced them fit to continue their travels. It is believed that the injuries were caused by an air pocket the plane hit during its flight. Earlier on Monday, Tel Aviv's Ben Gurion International Airport announced a state of emergency after a Wizz Air plane discovered a technical issue during landing.